A Significant Change is the title of a short film made by Unique to promote the new Transgender Care Pathway for Wales. 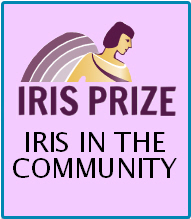 This was made with the help of the Iris Prize ‘Iris in the Community’ initiative. Iris in the Community was funded by the Big Lottery Fund Wales to undertake a series of projects across Wales to promote equality and diversity alongside community cohesion.